Music should be judged by the images, sensations and emotions it helps one conjure up rather than by purely technical standards. Jazz is one such genre of music that defies being straitjacketed by a particular definition. Seen as a universal unifier, jazz was conferred a privileged position by UNESCO by declaring April 30 as International Jazz Day in 2011. In December 2012, the United Nations General Assembly formalised the decision. The goal is to foster respect for human rights and freedom of expression, encourage intercommunity dialogue, promote peace and gender equality, and create a platform for the youth to be instrumental in the movement for social change. It draws the attention of various schools, artists, academicians, historians and communities to learn about the origins of jazz and appreciate the power it wields to impact the world. An entire month is devoted to the education of the public about jazz. 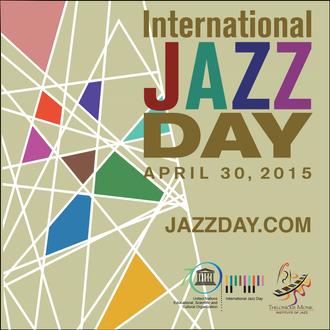 April is Jazz Appreciation Month, which ends with International Jazz Day. While Paris has been named the Global Host City for 2015, Goa is the jazz destination for the International Jazz Day celebrations in India, having been given this designation since its conceptualisation by UNESCO. 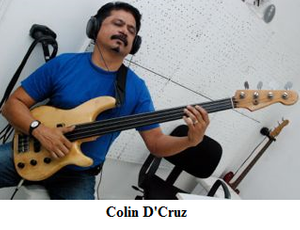 D’Cruz is excited by the prospect of Panjim becoming a host city in the future, which would bring world renowned jazz musicians to Goa and make this tiny state a part of the global jazz vocabulary. Already, for the past few years musicians from across India and world over have been making an appearance in Goa. 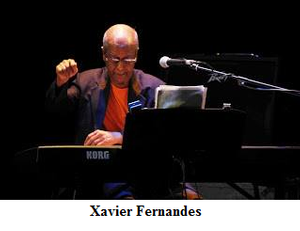 This year’s attractions are teenaged saxophonist Sanger Serrao and octogenarian pianist Xavier Fernandes, depicting age as no barrier to jazz music. Indian jazz guitar legend Gerard Machado, who is based in Bangalore, has been invited to play as the guest of honour. Besides these performers there are over twenty others expected at the venue. They have all volunteered to participate in celebrating jazz. 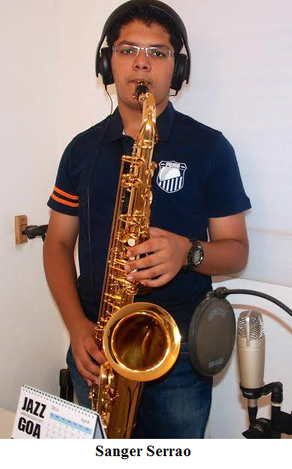 This year’s event promises to be a phenomenal experience and D’Cruz will hopefully reap a rich reward for the seeds he has so painstakingly sown, consequently popularising jazz in Goa and making Goa a music destination to contend with in the world jazz arena.